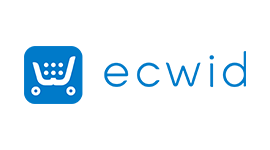 Ecwid is an e-commerce tool for SME’s to help them set up a quick and fully functional online store. Orderhive integration with Ecwid enables its users to manage their back-end operations with ease. Orderhive sync inventory through each of your channels and unifies inventory data in a single back-end. Instantly update stock level across the channel upon any sales & purchase instances. Bar-code compatibility helps you scan, save and search for SKUs ( product ) across your warehouses. Whether you are fulfilling orders by your own or using third-party fulfillment provider like AmazonFBA, Orderhive provides an easy order processing workflow, where you can automatically pass the order details to your 3PL company and track fulfillment activity. Easy integration with international carriers like USPS, FedEx, UPS, and DHL allows you to ship orders anywhere from the most trusted carriers. Speed up your shipping workflow with automation and shipping preset. Customize & Print shipping labels for single or bulk orders.